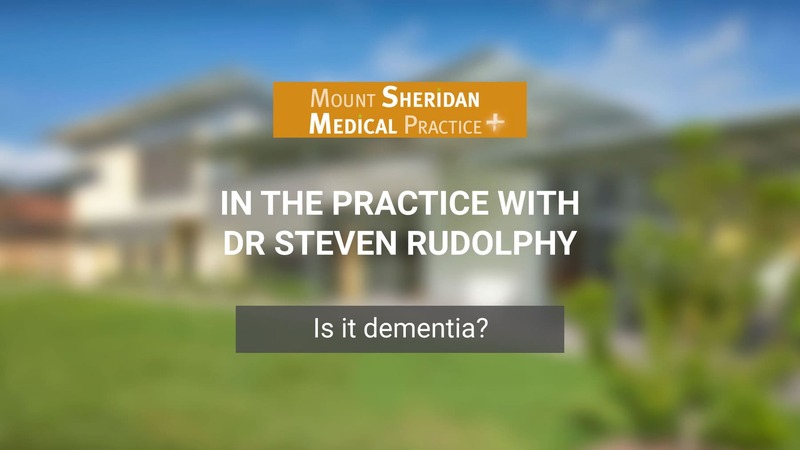 Dr Steven Rudolphy from Mount Sheridan Medical Practice discusses cardiac risk. Find out if you are at risk of heart attack or stroke. I’m Dr. Steven Rudolphy at Mount Sheridan Medical Practice. Just a little bit about heart attacks and strokes. Heart attacks and strokes are still major killers of people in the world, and certainly in Australia. What we like to do at Mount Sheridan Medical Practice is when people come in, we work out there cardiac risk score. Cardiac risk score assessment entails looking at the blood pressure, the cholesterol, your age, your gender, whether you’ve got diabetes, whether you’re smoking. This is the accepted way now of trying to stratify how much risk you have of having a heart attack. Smoking is straight-forward. We’re seeing less and less smokers, seeing less heavy smokers. Giving up cold turkey is still the commonest way people give up. We can offer you nicotine replacement therapy. We can look at drugs to help you give up smoking, but stopping smoking is essential. We try to take everyone’s blood pressure, certainly anyone by the time they’re 25, hopefully, have their blood pressure on their records. Blood pressure can just be part of your family. It’s called Essential Hypertension. There’s not much you can do about that, but if we treat it and bring it down, again it reduces your cardiac risk. Alcohol can do it and if you’re drinking more than about two or three drinks a night, that can put up your blood pressure. High salt in your diet and being overweight and lack of exercise, all the boring things that we bang on about, but those are important things to try and control your blood pressure. So, at Mount Sheridan Medical Practice we would be checking your blood pressure on a regular basis. Cholesterol is another risk factor for heart disease. We would try and check your cholesterol probably in your 40s and 50s. If it’s raised, we look at it in context that the blood pressure and your other risk factors. We don’t always rush in to treat it. Things you can do for yourself. Again, exercise, quite modest exercise, twenty minutes a day can help. Weight loss and again quite modest weight loss, even five, ten kilos can bring your cholesterol down. We may use drugs and a healthy diet, of course. Low in fat will help you. So just to wrap it up, try to reduce your risk of heart attacks and strokes. We try to measure your absolute cardiac risk and that takes into account your blood pressure, your cholesterol, your age, your gender, whether you’re diabetic, whether you smoke. So if your risk factor is under 10%, then you’re low risk. 10% to 15% medium risk and then we would think about giving you drugs and really encouraging you to do the lifestyle things. Once you’re over 15%, that puts you at a high risk of a heart attack or stroke and again almost certainly we would try to persuade you to lose weight, to exercise, have a healthy diet, give up smoking. We would probably also give you some drugs to help you along the way. If you would like more information or you would like to discuss your cardiac risk, click the button below.